Our post of 9/17 spoke of upcoming Tolkien events at The Morgan Library and Museum beginning in January when the Tolkien Maker of Middle Earth Exhibition opens. On January 31st 2019 Wayne Hammond & Christina Scull shall be presenting “Tolkien and the Visual Image,” which you can read of on their blog here. Be sure to sign up here for the Morgan’s email list to receive updates about the Tolkien exhibition and upcoming programming. Below you will find brief bios for all guest speakers, we will be building an event page on this site with expanded bios, links, and pictures of all guests between the Morgan Tolkien Symposium and NY Tolkien Conference. 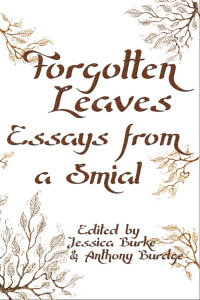 Jason Fisher is the editor of Tolkien and the Study of His Sources (McFarland, 2011), which won the 2014 Mythopoeic Scholarship Award in Inklings Studies. Robin Anne Reid Ph.D., is a Professor in the Department of Literature and Languages at Texas A&M University-Commerce. Her teaching areas include creative writing, new media, critical theory, and fantastic literatures, especially the work of J. R. R. Tolkien. Janet Brennan Croft is the Head of Access and Delivery Services and Assistant Professor at Rutgers University Libraries. She is the author of War in the Works of J.R.R. Tolkien, 2016 NY Tolkien Conference Guest of Honor. 2015 NY Tolkien Conference Guest of Honor, Tolkien Scholar, Founder and Co-Founder of, and not limited to Legendarium Radio, SwordSong Records, Legendarium News & Media, MyMiddle-earth and the Mythgard Institute. Sign up here for the Morgan’s email list to receive updates about the Tolkien exhibition and upcoming programming. I am very interested in these talks. I was planning on traveling to NYC to visit the Morgan Library and the talks fall during my spring break. I am following with great interest! Thank you very much for your interest, and for commenting here about your plans. Please keep in touch and we look forward to meeting with you in March! More news is forthcoming! !